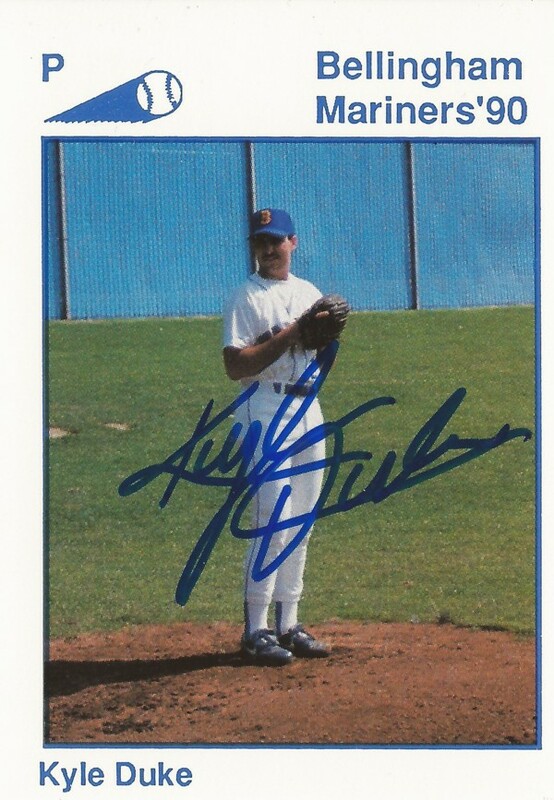 The Mariners seemed to have gotten a bit of a steal in the 1989 draft with Kyle Duke. Ranked as the 42nd top prospect in the draft by Baseball America, the Mariners got Duke in the fourth round, the 90th overall slot, according to UPI. Signed that August, Duke played that fall in instructional league and started his minor league run the next year. Duke, however, didn't live up to his prospect billing. He ultimately made AA, but he never made the majors. Duke's career began that year in 1989, taken by the Mariners out of Newman Smith High School in Texas. At Newman Smith, Duke turned in an 11-1 record as a senior, with a 1.26 ERA. He also struck out 132 batters over just 72 innings. After instructional league, Duke hit the field with the Mariners in 1990 between short-season Bellingham and high-A Peninsula. He went 4-13 between then, including 0-8 at Peninsula. He picked up his eighth loss in a June game. He had a 5.63 overall ERA. He played 1991 at short-season Bend. He went 6-6 over 14 starts, with a 3.44 ERA. 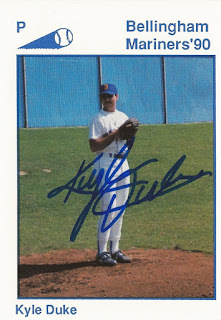 He then played 1992 at high-A San Bernardino mostly in relief. He had a 6.10 ERA. Duke then moved to the Rockies as a free agent for 1993. He played at high-A Central Valley and saved nine games. His eighth save came in July. He got his only look at AA in 1994. In 33 relief outings at AA New Haven, Duke saved one and had a 4.43 ERA to end his affiliated career. Duke also played part of 1994 with independent Rio Grande Valley and returned there for 1995. He went 7-9 as a starter in 1995, with a 4.43 ERA to end his career.